A timeless and treasured keepsake for many generations! Scalloped edging with eyelets weaved with soft satin ribbon. 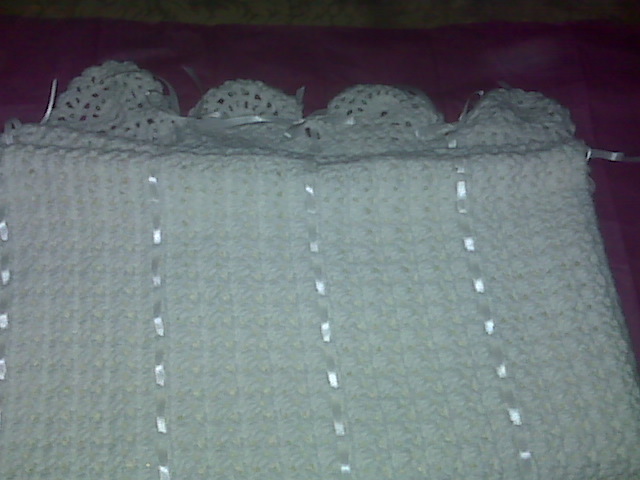 Warm, soft and durable hand crochet blanket perfect for welcoming home, christening blanket, baby naming, bris or baby shower. Made with a lot of detailing and love. Size is approximately 35" x 45". 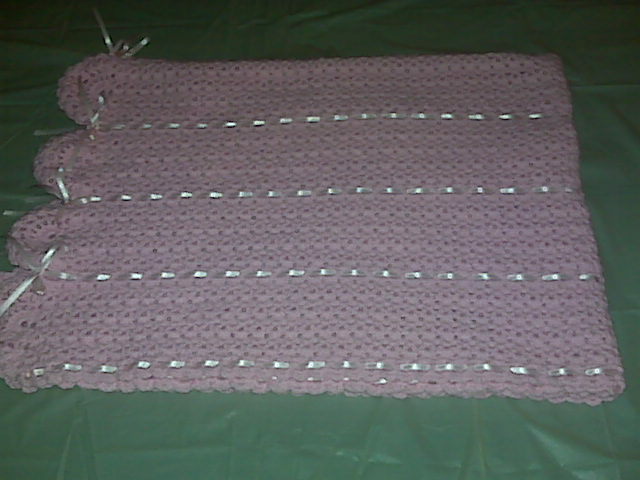 Made with baby soft yarn in either White, Pink, Baby Boy Blue, Baby Yellow, Tiffany Blue with matching satin ribbon color. Custom color option available. Machine washable/dryable. Professional Dry Cleaning Recommended.